The Legend of Zelda Master Sword Letter Opener & Display Stand NEW. 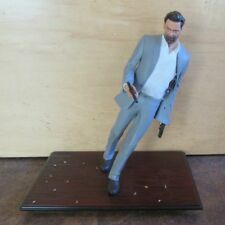 Box may have minor, cuts, dents, creases and/or corner imperfections. I will be more than happy to help. Otherwise, I will grab the first box I see and condition. 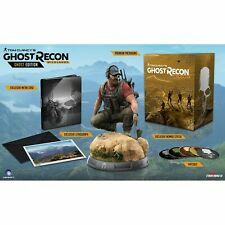 Embroidered Ghost Recon Patches: Customize your own gear just like the Ghosts with a set of five embroidered Ghost Recon iron on patches. Last Chance. Product Weight: 9.3lbs. You May Also Like. Made in China. Might not be official. PHONES AND LTE TABLETS DO NOT INCLUDE SIM CARDS. Perfect for school or travel this bag is sure to make a great gift! Features all-over Triforce pattern. US Resident. Legend Zelda Triforce Link Hylian Ocarina Twilight Master Sword Blade Dagger 12"
Zelda dagger with scabbard. This Dagger will fit perfectly with your high quality collections. 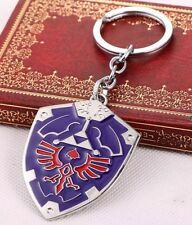 A serious must have for the Zelda fan. One of the best dagger to collect, decoration or sparring. Dull Stainless Blade, can be used for letter opener. This small chest is the perfect size to keep your valuables safe from marauding monsters. No more must you worry about fierce moblins stealing your precious small keys. Perfect as a gift for your favorite Hyrulean Hero as well! This listing is for one Zelda Triforce Crest vinyl decal in gold. Decal measures 5” x 2.8”. Decals will be shipped in a standard envelope via USPS mail service. Directions for use: 1. Clean surface and allow to dry prior to application. ***Note: this is NOT an iron on transfer and is not intended to be applied to fabric*** 2. Carefully peel back clear transfer tape making sure vinyl peels away from backing evenly and remains adhered to transfer tape. 3. Apply to desired surface and gently rub down for a few seconds to ensure proper adhesion. 4. Slowly peel transfer tape away from surface leaving the decal in place. Prepare for larger-than-life showdowns as the greatest DC Super Heroes and Super-Villains do battle in INJUSTICE 2. 100% Authentic. Color: Black With Gold Triforce Logo. Features an embroidered logo on the crown, and an adjustable snap back. Grey satin is hard to photograph but they look AMAZING in person! Dress it up or down, it looks cool either way! Legend of Zelda Triforce Super Famicom/SNES JP GAME. Condition is Used. It doesn't fit to US Super Nintendo Console. Ceci est un jeu japonais pour Super Famicom, avant d'acheter veuillez vérifier la compatibilité avec votre console. Due to its age, the battery may be out of juice. 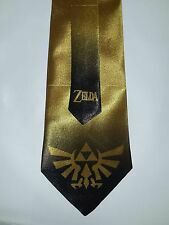 Zelda Link dark side of the moon triforce Moonshake Unfortunateface pin. Small, 1.5 x 1.5 inches. Pink Floyd parody. Condition is New, unused. Message me with any questions. Cast in a solid resin & handpainted, this Zelda Knob will surely bring peace to Hyrule. All trademarks are the property of their respective owners. ~Good Luck Adventurer! These are mounted from the inside of your unit out to the pull knob [skill level: easy]. Legend of Zelda bronze-toneTriForce charm necklaces with chain and rhinestones. 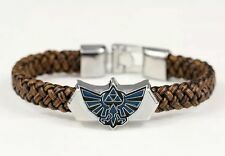 A great gift for any Zelda fan. 3D Legend of Zelda Triforce Night Light Acrylic Decorative LED Table Desk Lamp Art Lantern Gift. Type: lamp. Acrylic board x 1, ABS Base x 1, USB Cable x 1. Color: ( as shown in the picture ). 7 colors light changing. The Legend of Zelda. Ao no Exorcist. Sword Art Online. Size: 4.6 3.8cm. Hitman Reborn. Hunter x Hunter. JoJo's Bizarre Adventure. Soul eater.